The Honorable Minister Louis Farrakhan speaks at repast which was also an iftar (breaking of Ramadan fast) in the gymnasium of Muhammad University of Islam. The Minister thanked the many supporters and friends who gathered to pay tribute to his eldest son, Louis Farrakhan, Jr., Min. Farrakhan’s daughter, Fatima (standing at right) and family members look on. 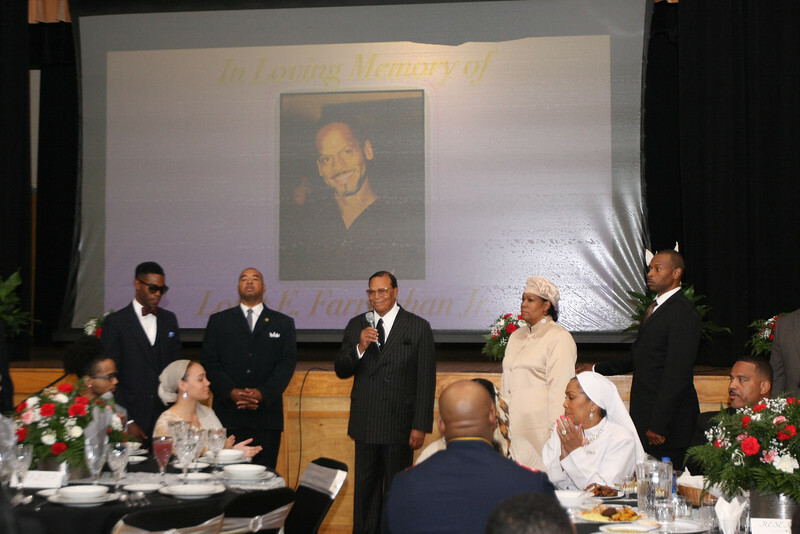 Bottom: Series of photos of Louis Farrakhan, Jr., with members of his family.